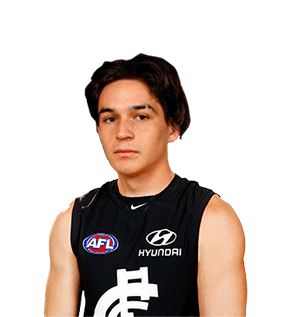 Zac Fisher joined the Blues via pick No.27 in the 2016 NAB AFL Draft. The slick on-baller starred in the 2016 NAB U18 Championships, named Western Australia’s most valuable player and earning All-Australian selection. Though he only stands at 175cm, his height has never stopped him racking up possessions and going in hard at every contest. His ability to keep the ball moving forward is a key part of his game.